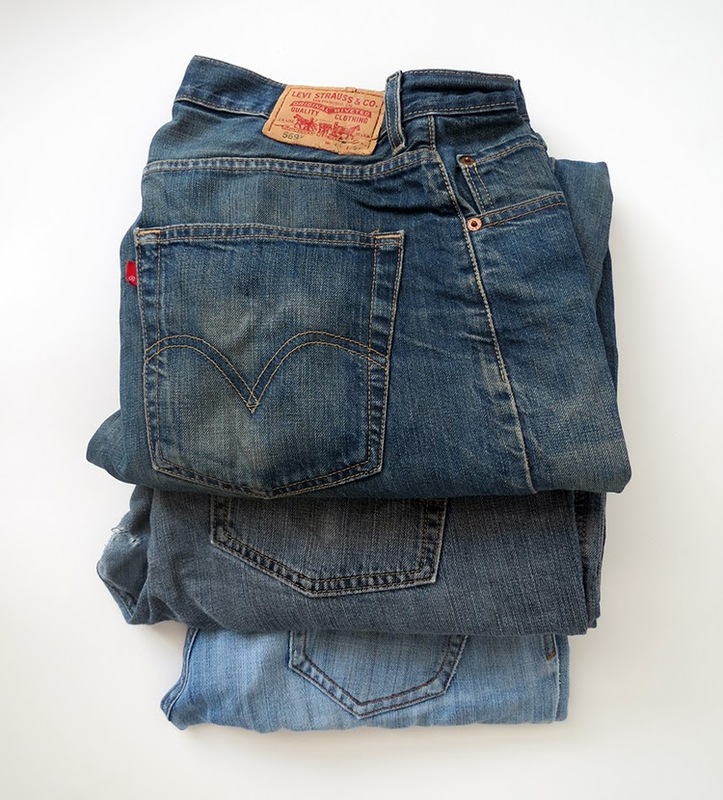 You don’t know what to do with your old denims? Here is an idea for recycling them. It’s easy but takes a little time. No sabes qué hacer con sus viejos pantalones de mezclilla? Te doy una idea para reciclarlos. Es fácil, pero lleva algo de tiempo. Tu sais pas quoi faire de tes vieux jeans? Voici une idée pour les recycler. C’est facile mais ca prend un peu de temps. 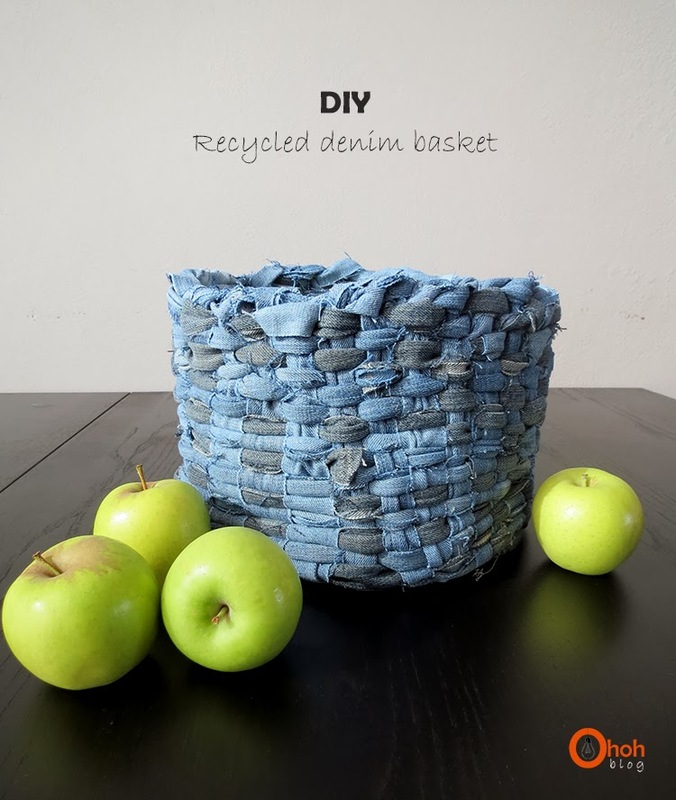 You will need old denims, a pair of scissors, a sewing machine, a container to use as a model for your basket (I used a bucket). 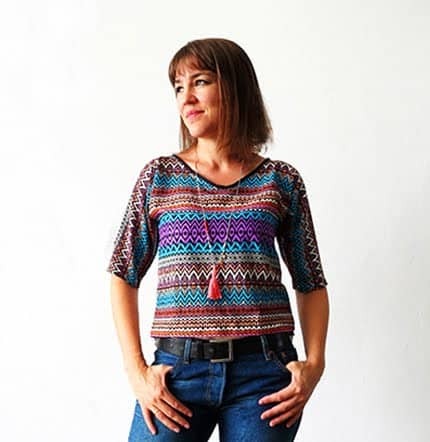 Necesitarás viejos pantalones, un par de tijeras, una máquina de coser, un recipiente para servir de modelo a tu cesta (he usado una cubeta). Tu auras besoin de vieux pantalons, une paire de ciseaux, une machine à coudre, un récipient pour servir de modèle à ton panier (j’ai employé un seau). 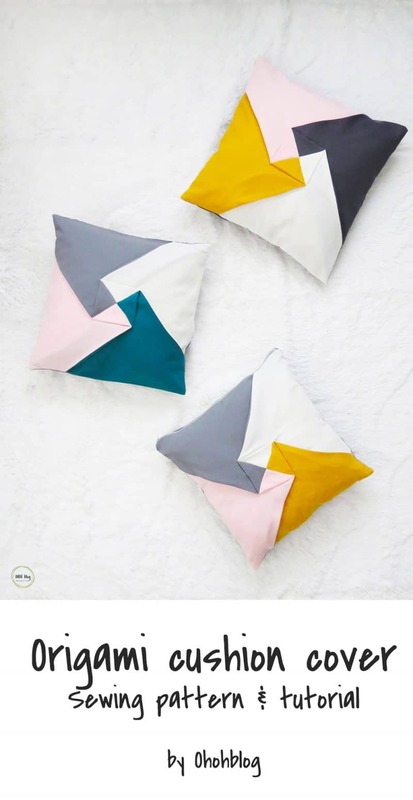 Tienes que cortar tiras de tejido de +/- 2,5 cm de ancho y coser las juntas, para hacer un largo”liston”. Coupe des bandes de tissus de +/- 2.5 cm de large et couds les bout à bout pour faire un long “ruban”. You should keep about 20 strips to make the base of the basket (depending on the size you want). I started with 8 strips of fabric that I tied with a knot in the center. Debes tener como 20 tiras para hacer la base de la cesta (dependiendo del tamaño). Empecé con 8 tiras de tela que amaré con un nudo en el centro. Tu dois garder environs 20 bandes pour faire la base du panier (ça dépend de la taille). J’ai commencé avec 8 bandes de tissus que j’ai attachées au centre avec un nœud. You tie with a knot one end of your “ribbon” in the center and you start to weave. You pass the ribbon around the strips. Once above, once below …. Con un nudo, amaras un extremo de tu “liston” en el centro y empiezas a tejer. Pasas el liston alrededor de las tiras. Una vez encima, una vez abajo …. Tu attaches, avec un nœud, un bout de ton “ruban” au centre et tu commences à tisser. Tu passes le ruban autour des bandes. Un fois au dessus, une fois en dessous…. You weave until you have the size that you desire for the base of your basket. Must occasionally pull the strips to adjust weaving. You place the base on your model (bucket, bowl …). And you continue to weave the sides of your basket. Depending on the size, you may have to add strips of fabric. Tejes hasta que tengas el tamaño que deseas para la base de la cesta. De vez en cuando debes jalar las tiras para ajustar el tejido. Coloca la base sobre el modelo (cubeta, tazón …). Y continúa tejiendo los lados de la cesta. Dependiendo del tamaño, es posible que tengas que agregar tiras de tela. vas peut-être devoir rajouter des bandes de tissus. Once you have completed weaving, you have to finish the edge of the basket. You’ll attach the strips of fabric together by tying knots. Una vez que hayas acabado de tejer, tienes que terminar el borde de la cesta. Vas a amarrar las tiras de tela con nudos. Une fois que tu as terminé de tisser, il faut finir le bord du panier. Tu vas attacher les bandes de tissus ensemble en faisant des nœuds. Your basket is almost done. You’ve got to cut the extra stips and fold them inside the basket. You can either sew or glue them. Tu cesta está casi terminada. Tienes que recortar las tiras de tejido ya doblarlas dentro de la canasta. Puede coserlas o pegarlas. Ton panier est presque fini. Il te reste a couper les bouts de tissus qui dépasses et à les plier à l’intérieur du panier. Tu peux soit les coudre, soit les coller. Voila, not too bad for used denim! Voila, no está mal para un par de pantalones usados! Voila, pas trop mal pour des vieux pantalons! 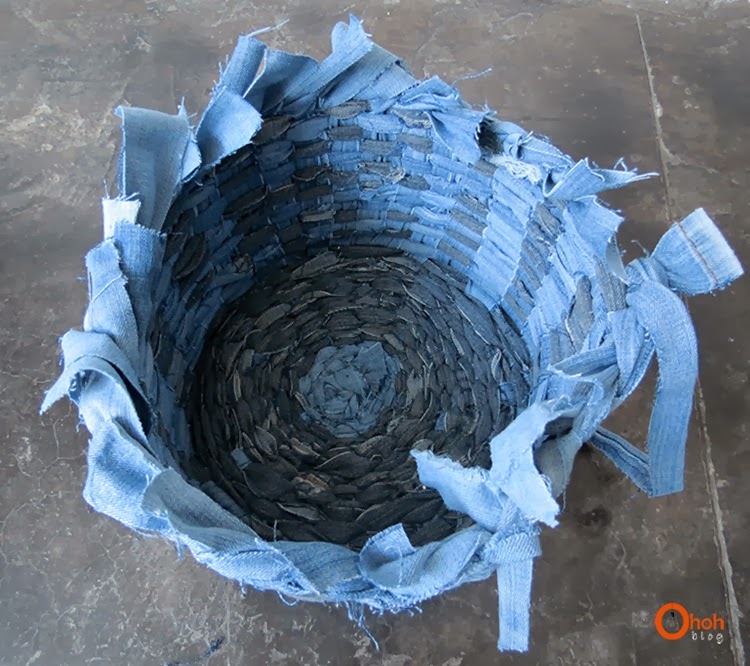 I used two pairs of denim to make this basket. He utilizado dos pares de pantalones vaqueros para hacer esta canasta. J’ai employé deux jeans pour faire ce panier. Et depuis, Diego cherche ses jean's dans toute la maison !!! Chouette quand même ce panier ! On peut y mettre les habits de princesse ou plein de "coches Papyco" ! This is great! Much better than crochetting. Thnaks for this good idea. Está fenomenal! Muchas gracias por compartir! I love this idea, and your instructions seem clear and achievable. Thank you. 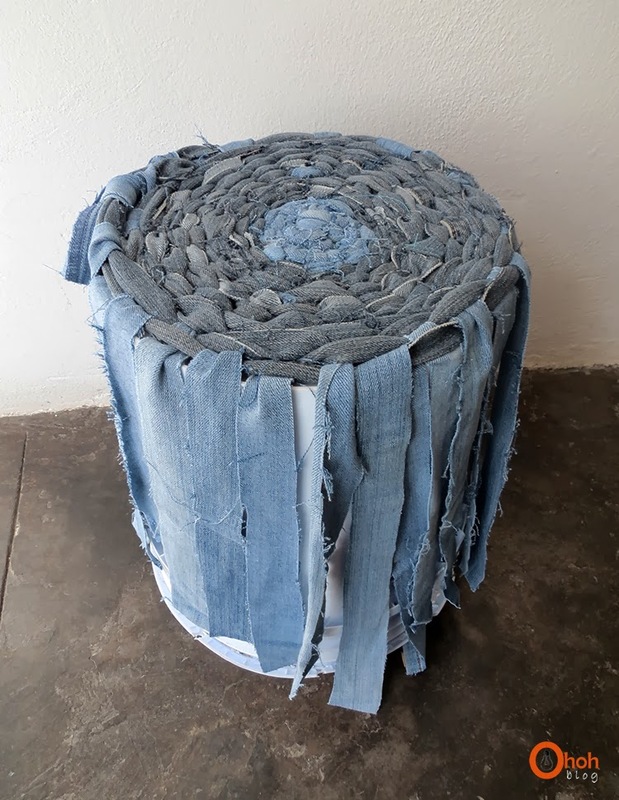 Very, very good idea to reuse "old denim" 🙂 Congrats!!! Merci pour le tuto …..
What a great idea! Thank you for showing! Hey, I am actually trying your tutorial right now and I am not entirly sure what you mean by: "And you continue to weave the sides of your basket. Depending on the size, you may have to add strips of fabric." How do I add those additional strips. Because my "walls" wont stand up straight and I am guessing its because I don't have enough strips to weave with. Hey Rita, If your "wall" strips are not long enough for the basket height you want, you can sew other strips pieces at each end to lengthen them. I hope this will help you. Let me know if you have any doubt! What should the length be to start with? I was reading through it and just thought about trying it out with a mixture of denim and ribbons. Thanks,and nice idea to add ribbons! Thanks! Unfortunately I don't have time to write the new posts in spanish and french…but you can always use the translator in the sidebar menu or leave me a message! How long are the staring strips suppose to be? 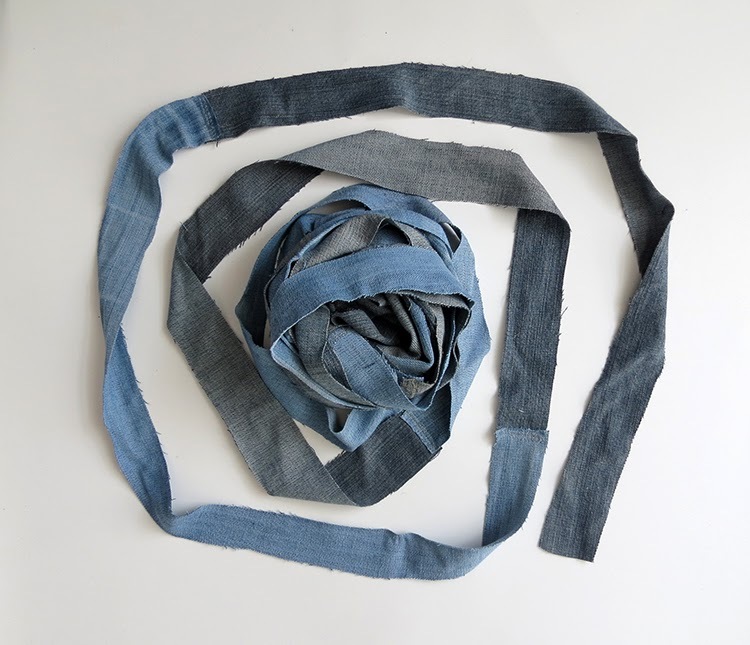 The strips that are knotted together are about 1 meter lenght,and I started to weave with a ribbon of 5 meters…then I sew more denim strips to make it long enough to finish the basket! 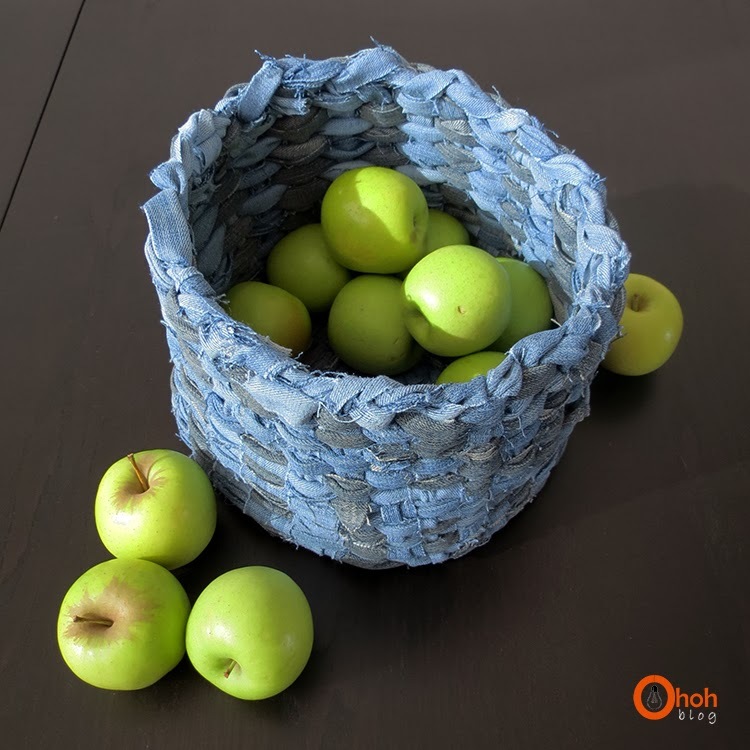 The dimensions can change if you make a smaller or bigger basket! This is such a lovely idea! 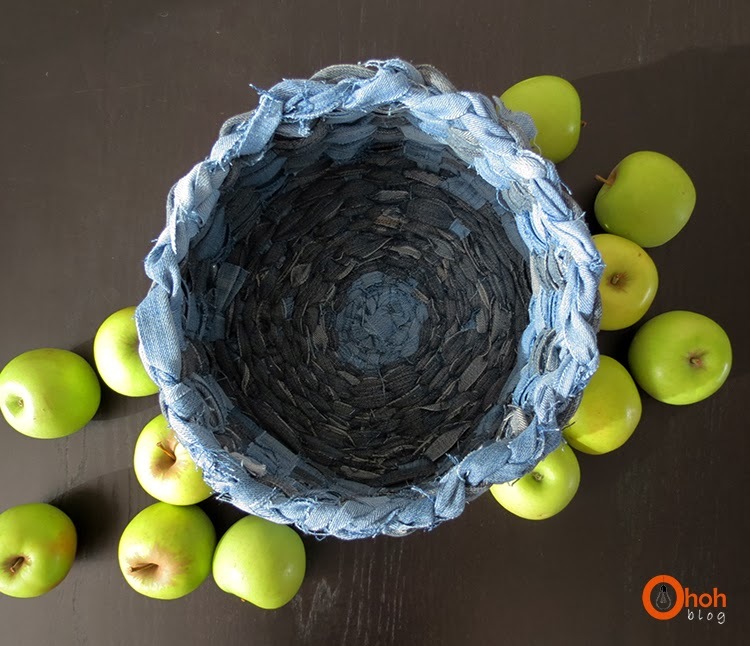 We used your idea for making some Easter baskets out of a stack of old jeans, and our guests were very impressed. And my girls loved the idea to recycle old clothing this way. Thank you for sharing this inspiration! Hi Marilyn, I'm so glad you liked this DIY. I would love to see your Easter baskets, you can share in the comments or send me a email, if you like too! Thanks. Love all the shades of blue. Going to give it a try! Thanks! Thnaks Nancy! Have fun crafting your basket! It`a great idea, I love it! About how big is this basket? Hello, the basket is about 11 inches diameter and 7 inches high. Hello Dione, To make the sunburst pattern (the bottom of the basket)I used 8 long ribbons. I used one of them to make a knot and to attach them all together in the center. Then you have to extend all the ribbons to make the sunburst shape. 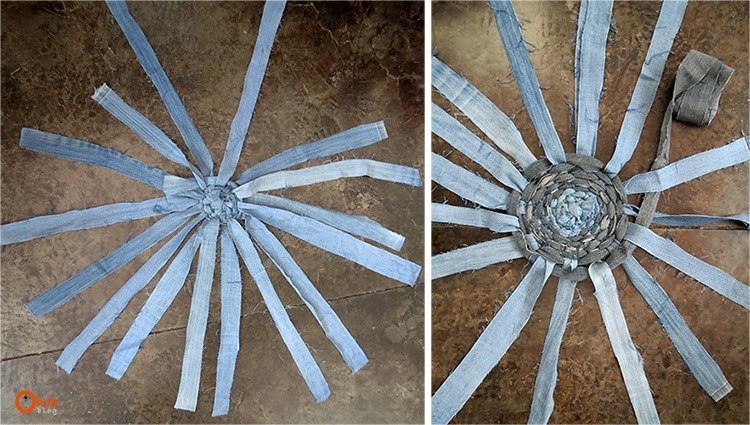 Take an other ribbon, make a knot to attach it with the center on the sunburst and start weaving. You have to tighten the fabric often during the first weaving loops. I hope this will help you! I sure wish I could figure this weaving out. My Dad gave me a bunch of his old worn out jeans because I have a sewing machine and like to sew. 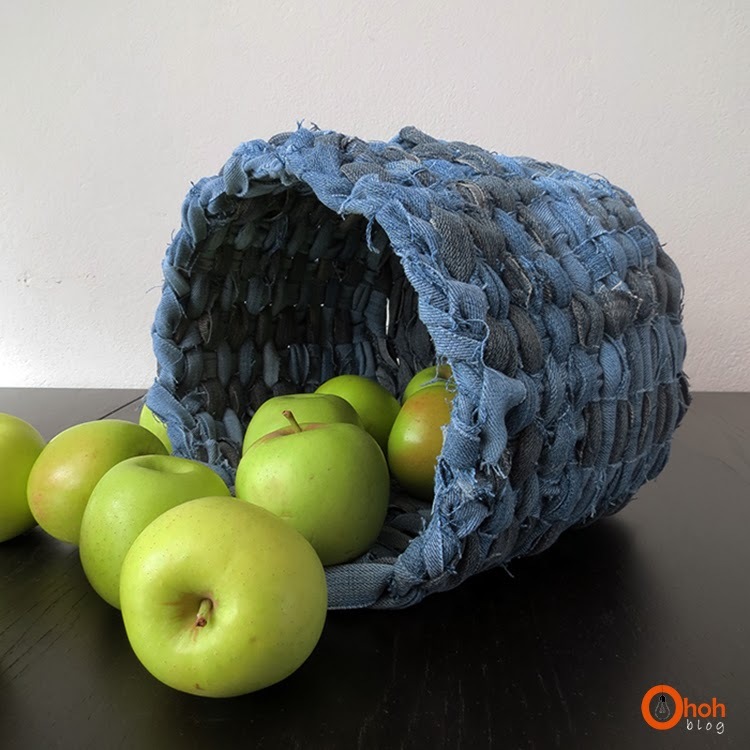 I saw this basket you made and thought it would be cool to make him one or two and be able to give his jeans back to him but I just can't get the hang of starting the weave. I cut the strips out and I made one crazy long chain …maybe too long. I'll just keep trying. Those baskets are really cool though! Hello Teckla, I hope you found the way to make your dad some baskets! Tell me if you need more explanation. You need to attach 8-9 strips together, with a knot in the center, to make the base of the basket. With an other strip (a very long one) you start breading your basket,passing the long strip once above and once under every strip how form the basket base. Hello Angie, yes this correct. The length of the layered strip must been the length of the basket side + the radius of the basket bottom. Have fun making your basket! Are we suppose to remove the bucket after the weaving or not? Yes you have to remove it. The bucket is just a shape to help you to weave. I love this!! It took me three tries but I finally made my own. My only thing is it doesn’t keep its shape. Once I take it off the bucket, it goes flat. Did I do something wrong? ?